Australian Laser & Skin Clinics was established over 20 years ago, making us one of the first and most experienced clinics in Melbourne. Having performed well over 3 million treatments at our Melbourne laser clinics, we are staffed by a team of doctors, nurses and para-medically trained clinicians who are laser safety certified. We only operate with TGA and FDA approved Class 4 medical grade lasers and machinery to ensure safe and efficient results. With 14 convenient locations across the Melbourne metropolitan area, including the CBD, we offer affordable laser treatment for men and women. Treatments on areas such as face, legs, brazilian, full body and more. Our clinically proven and effective treatments will ensure you never have to shave or wax again. Unlike traditional methods, medical grade Laser Hair Removal destroys the root of the follicle, destroying unwanted hair and preventing future growth. Whilst beauty grade machinery can only guarantee hair reduction, our machines ensure targeted results that provide a permanent solution to unwanted hair. 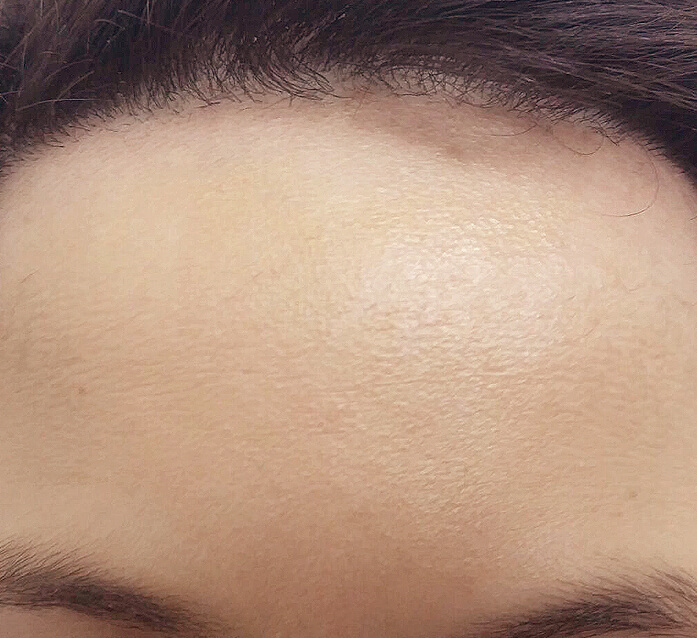 Medical grade removal is attracted to melanin (the pigment) within the follicle. The laser is converted into heat energy that destroys the root within the follicle and prevents future growth. Forget painful waxing and unpleasant hair removal creams. Our Laser Hair Removal procedure is quick, easy and painless, with permanent hair reduction results. Laser Hair Removal works by focusing a specific wavelength of laser energy onto the skin. The pulse of laser energy is attracted to the melanin (pigment) of your hair which then converts to heat at the root of the hair follicle. The follicle heats to a critical temperature where it becomes cauterized, destroying the follicle and preventing future hair growth. Our specially trained staff target the hair follicles in their active growth phase (anagen) at the time of treatment, this is the only hair phase that Laser Hair Removal is successful at destroying the cells that create a hair. The pulse of the laser only lasts for a fraction of a second at a time – just long enough for your hair follicle to be disrupted and stop growth. 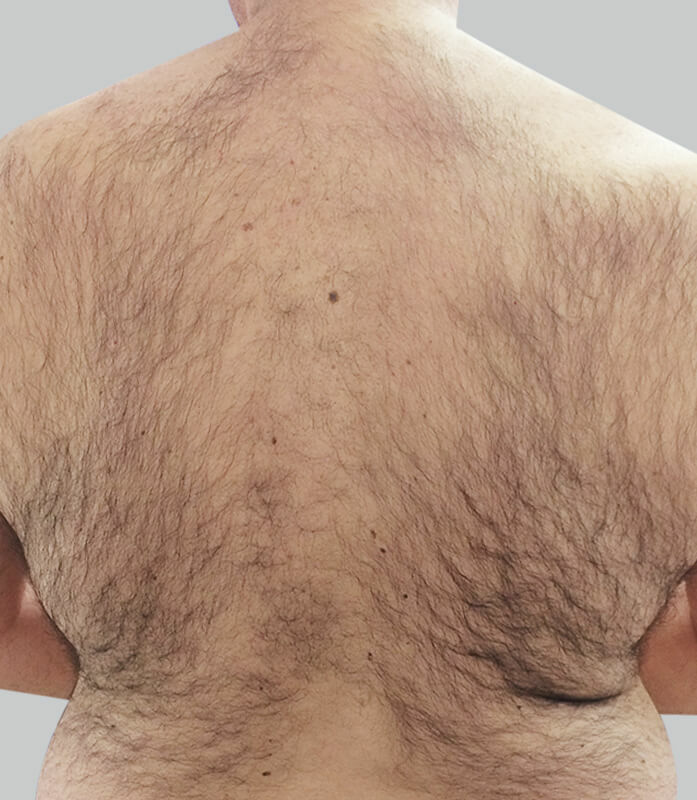 You can shave, wax, pluck or use hair removal creams to manage the growth of your hair, but these methods all have one thing in common – they are temporary. You need to tend to your frustrating, unwanted hair again and again to keep your skin smooth. Waxing and plucking are not only temporary but can also be painful and irritating to delicate areas. Laser Hair Removal is a long-term solution which can remove up to 90% of your unwanted hair in a minimum of 6 sessions. We also use a specially designed cooling system throughout the Laser Hair Removal treatment to reduce any discomfort during the procedure. Laser Hair Removal is for men and women who are tired of constantly shaving or waxing and seeking a long-term solution to their unwanted hair. However, it is more effective for some people than others. This is due to the way light energy is absorbed by the hair follicle, darker hairs are more effectively treated. Blonde and red shades are harder to treat, and white and grey hairs are unaffected by the treatment. We can give you a full assessment of your eligibility for laser hair removal and how many sessions we estimate you will need at your initial consultation. This can vary between each individual but most clients experience an 90% reduction in 6-8 treatments. 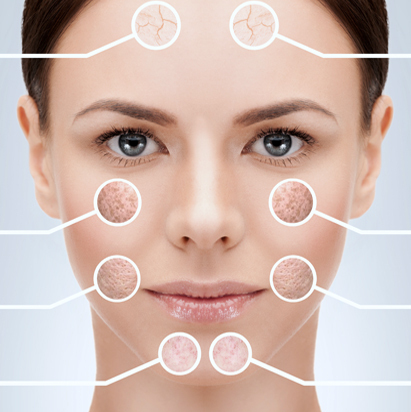 Treatments are performed every 6-8 weeks for the body and 4-6 weeks for the face. We only operate with TGA and FDA approved Class 4 medical grade lasers, not IPL. Whilst beauty grade machinery can only guarantee hair reduction, our machines ensure targeted results that provide a permanent solution to unwanted hair. Although Laser Hair Removal can be uncomfortable, most clients tolerate it well. Many people describe it as an elastic band flicking on your skin. We also use cooling throughout to reduce discomfort. Darker hairs respond best to treatment due to a higher concentration of pigment (melanin) in the follicle. Red, white and grey hair cannot be removed with such treatment as they lack sufficient pigment for the laser to be attracted to – darker and thicker hair are a larger target for the laser energy and therefore create more heat in the follicle. Ample heat is needed for complete follicle destruction. 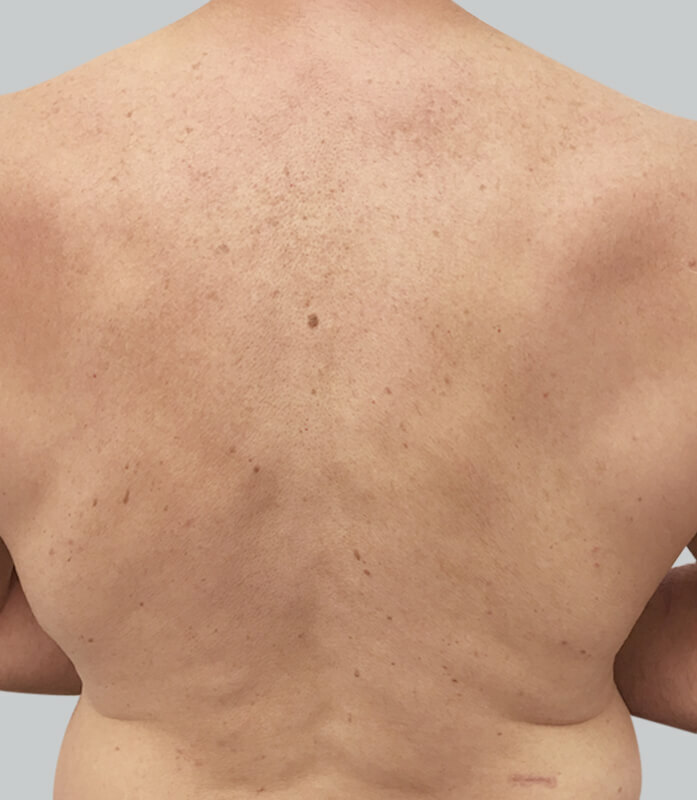 Does skin type affect the treatment? If you have olive or dark skin, you can still benefit from treatment, our highly experienced staff will ensure that your skin remains safe throughout your treatment program. Fitzpatrick Skin Types V and VI (dark to very dark skin tones) are not suitable candidates due to the excessive heat that is caused on the skin. Remember, the laser energy is attracted to pigment, therefore the more pigment in the skin the more heat can be absorbed superficially. The most important rule when doing a course of laser hair removal sessions is to avoid any kind of sun exposure, use of self-tanners (including spray tans), and solariums. These can all greatly affect laser treatment, as laser is attracted to dark pigment and is unable to decipher between the pigment in dark hair and tanned/darker skin. To reduce any risk of skin burning or pigmenting due to incorrect preparation, your clinician must be aware if you have had recent UV exposure or are wearing fake tan. An SPF30 or greater sunscreen must be used daily and frequently to protect the treated area throughout the course of treatments. As waxing, plucking and threading temporarily remove the hair from the follicle before it grows back, it is imperative to not pursue such methods for a minimum of 4 weeks prior to laser hair removal in the treatment area. 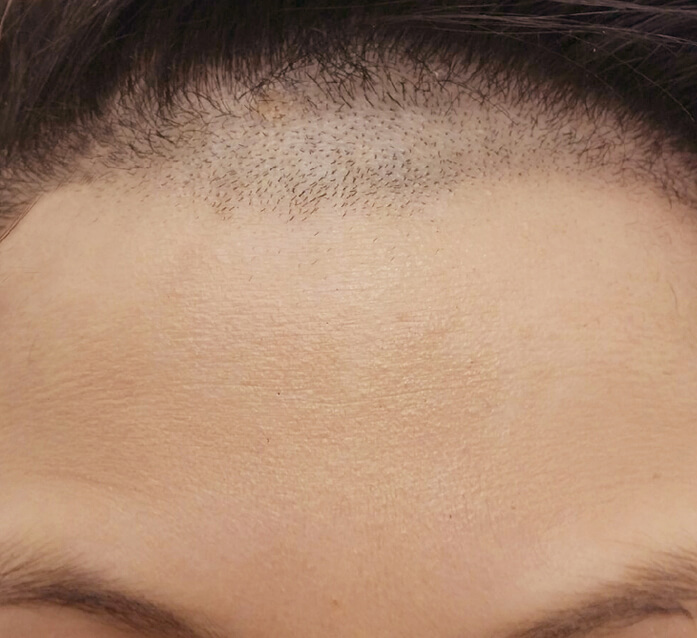 If there is no hair in the follicle at the time of treatment, then the laser is unable to successfully target and destroy growth. The use of shaving or depilatory creams on the treatment area is not a problem, as they do not remove the hair from the follicle. It is recommended only to remove surface hair by shaving, depilatory creams, or clippering the treated areas during the course of treatment. 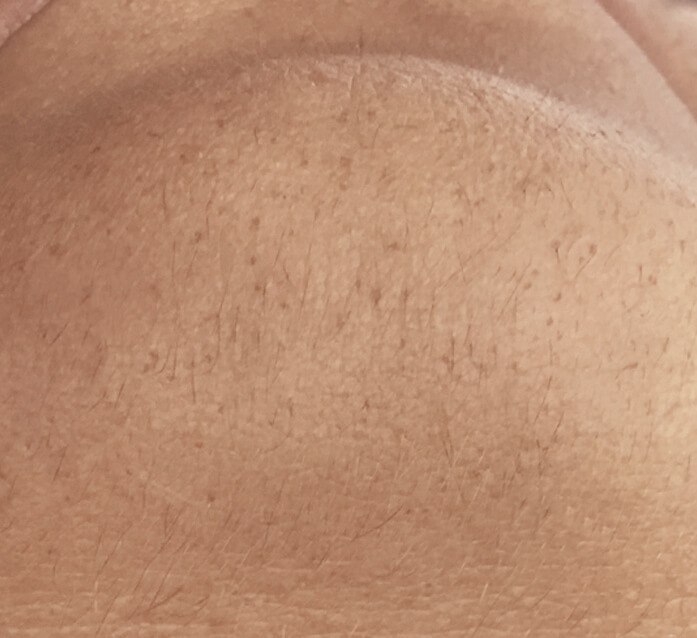 Shave the area to be treated 24 hours prior to your treatment; this will promote a stronger current in the laser which will mean better results. Avoid partaking in any activities prior to coming in for treatment that will make you hot and sweaty, such as exercising or going to spas and saunas. Avoid sun exposure for at least four weeks after treatment and use sun block SPF30 or greater. It is highly recommended to avoid any sun exposure, fake tanning or solariums between treatments. Redness and slight swelling is common for a couple of hours to a couple of days after treatment. This is a natural response and there is no need for concern. Regular application of a soothing gel or ice pack will dramatically improve recovery time. It is recommended to keep cool prior to and after treatment. Avoid exercise, saunas and swimming in pools or spas, scented lotions, loofahs, exfoliants or AHAs (alpha hydroxy acids) immediately prior to and post laser hair removal, as these activities can irritate the skin and increase the incidence of treatment reactions. 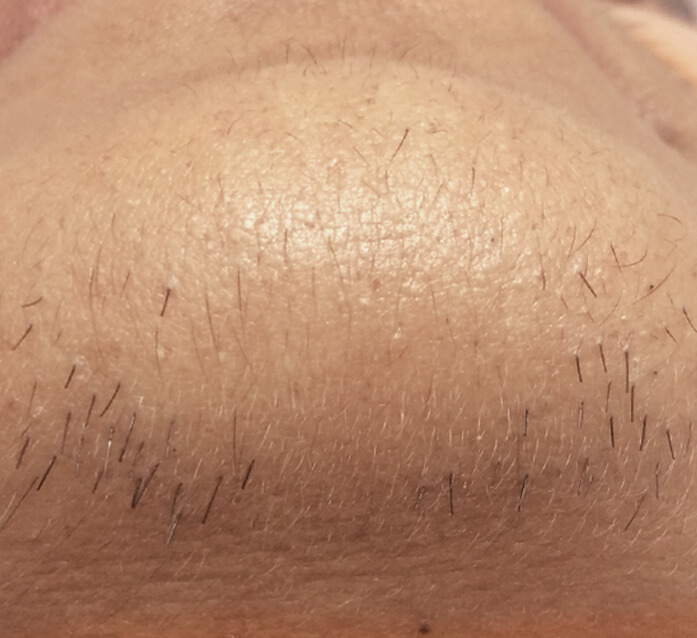 For a period of up to 2 to 3 weeks (or 7 to 10 days for the face) the hairs in the treated area may have the appearance of stubble. This is not new hair growth but rather the remnants of the treated hair being expelled from the damaged follicle. Allow the hair to fall out naturally. However, if you want to assist the shedding of hair, you can do so by gently rubbing with a warm washcloth or using a mild exfoliant. You are able to shave any unwanted hair in-between treatments, but avoid waxing, plucking, threading or bleaching the area. This will remove the hair from the follicle or remove its pigment, making it impossible to treat until the hair grows back. I just wanted to send you a quick email to express my appreciation to you and the staff at the ALSC clinic after my treatment last Wednesday. I have had a few different laser clinics treat me and by comparison, the service they provide is second to none. Staff are fantastic- very professional, friendly ladies and the treatment itself was very thorough. I could not recommend their clinic highly enough. You can tell they are experts in what they do! Thank you once again for organising this opportunity, I look forward to continuing treatments at Williamstown. I love getting my treatments here because I know that you use the best machines/technology available and others have recommended your services. A very well known and trusted company! All the women in my family get Laser Hair Removal. We have been going to the ALSC for 4 years and come back continually because of the friendly staff and high quality of services. Plus we are always greeted with the biggest smiles! I tried everything to remove my facial hair and because it’s hormonal nothing worked…until I tried your Laser Hair Removal. Now I have confidence and don’t have to hide myself away from embarrassment. Unfortunately as I’m nearing my 50’s I’m getting a hairier face. It has made me feel very unfeminine and unattractive. Laser Hair Removal has nearly removed it all and I feel attractive and like a woman again! Thank you so much. The ladies are very welcoming, I have always been happy with the services and I recommend Australian Laser & Skin Clinics to ALL my friends and family, especially for Laser Hair Removal. I love getting my Laser Hair Removal done at ALSC, the therapists are on time, efficient and achieve great results. The staff members are also lovely and friendly! The staff are the best! Eased all my tension/awkwardness during my initial full body Laser Hair Removal sessions. I fully trust them because they are all so qualified and friendly. ALSC has given me confidence! Laser Hair Removal and Photo Rejuvenation have changed the condition of my skin. The ALCS team is professional, nice and knowledgeable. The therapist who does my Laser Hair Removal is a LEGEND the advice given is excellent. I’m a first time Laser Hair Removal client and I won’t be going anywhere else! It really works! It’s easy and pain free, especially compared to previous clinics I’ve been to for Laser Hair Removal. I’m looking forward to trying some of the amazing skin treatments that ALSC has to offer next.